3rd floor 2 bed 2 full bath private corner cooperative unit located in Walden Ponds. This unit leaves a lasting impression the minute you enter. Unit is a unique corner unit boosting tons of natural light with a spectacular view. Updates include new vinyl flooring in the kitchen, front hallway, both baths, and fresh paint throughout. Kitchen features all new appliances and opens to dining and living room space. Living room features gas fireplace with custom title and access to private balcony. Master bedroom includes private bath suite with large walk-in closet. 2nd bedroom is conveniently located near 2nd full bath. Unit includes new Electrolux washer and dryer located off front entry and 2 parking spots (1 covered car port). 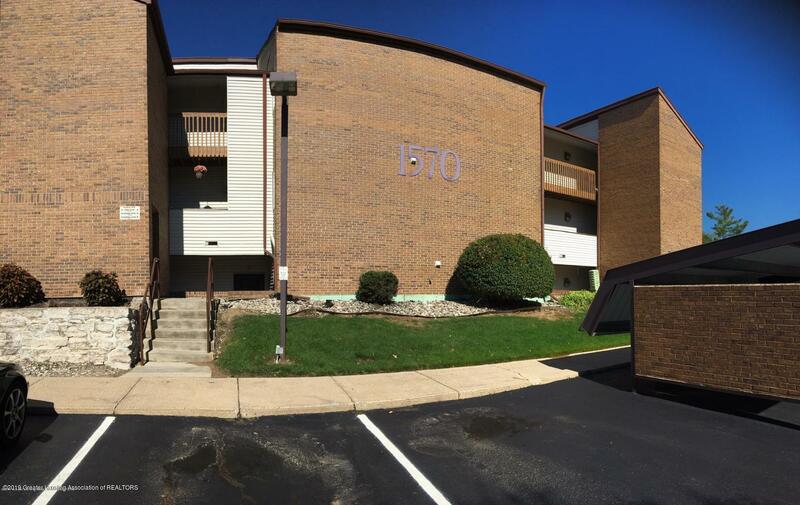 Condominium Name: THE PONDS COOPERATIVE HOMES, INC.
© 2019 Greater Lansing MLS. All rights reserved. Information is for consumers' personal, non-commercial use and it may not be used for any purpose other than to identify prospective properties consumers may be interested in purchasing. The data relating to real estate for sale on this website comes in part from the Broker Reciprocity Program. Real estate listings held by brokerage firms other than Coldwell Banker Hubbell BriarWood are marked with the BR logo and detailed information about them includes the name of the listing brokers. Data is deemed reliable but is not guaranteed accurate by the GLAR MLS. Information last updated on 2019-04-23.